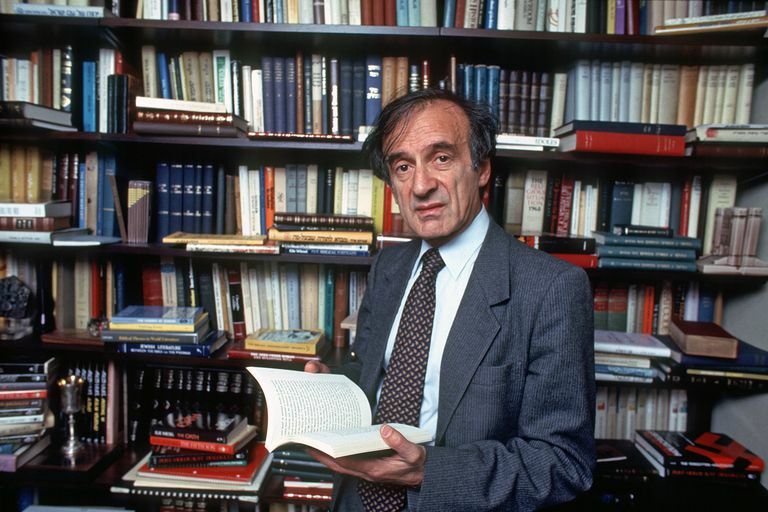 Elie Wiesel standing amongst bookshelves. Night, by Elie Wiesel, is a work of Holocaust literature, with a decidedly autobiographical slant. Wiesel based the book—at least in part—on his own experiences during World War II. 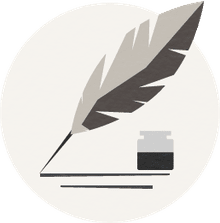 Through just a brief 116 pages, the book has received considerable acclaim, and the author won the Nobel Prize in 1986. The quotes below show the searing nature of the novel, as Wiesel tries to make sense of one of the worst human-made catastrophes in history. Wiesel's journey into Hell began with a yellow star, which the Nazis forced Jews to wear. The star was, often, a mark of death, as the Germans used it to identify Jews and send them to concentration camps. The journey to the camps began with a train ride, with Jews packed into pitch-black rail cars, with no room to sit down, no bathrooms, no hope. Upon entering the camps, men, women, and children were usually segregated; the line to the left meant going into forced slave labor and wretched conditions—but temporary survival; the line to the right often meant a trip the gas chamber and immediate death. The flames rose 24-hours a day from the incinerators—after the Jews were killed in the gas chambers by Zyklon B, their bodies were immediately taken to incinerators to be burned into to black, charred dust. Wiesel's quotes speak eloquently of the utter hopelessness of life in the concentration camps. Wiesel, of course, did survive the Holocaust and became a journalist, but it was only 15 years after the war ended that he was able to describe how the inhumane experience in the camps turned him into a living corpse.